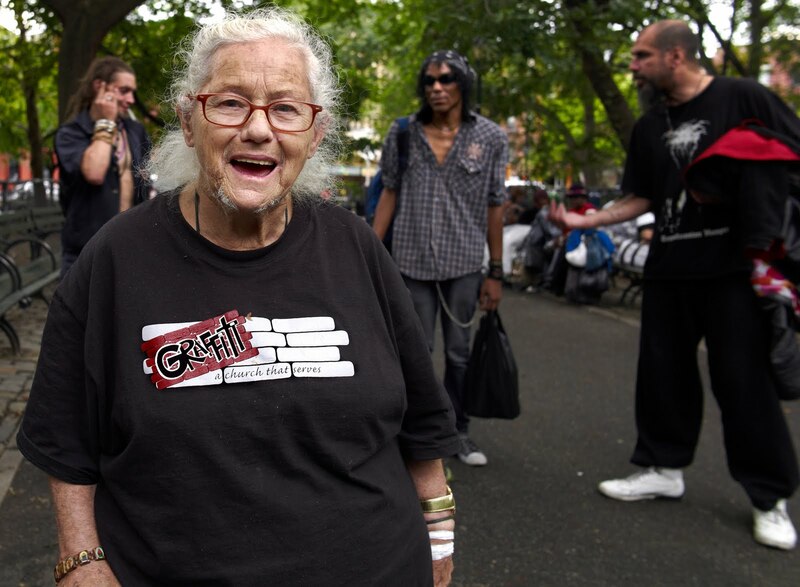 Not too long ago Adele was a regular in TSP ,spending much of her time sitting at one of the chesstables, in violation of park rules , not playing chess but handing out socks , underware and inviting folks at the tables who were hungry to visit Graffiti Church for a free dinner . She was seen by many to be a saint .No one messed with Adele in TSP. That's such an endearing photo, Bob! Lindsay I was very surprised to see Adele yesterday.I tried to link some posts from the past but nothing worked .